Gordon Ramsay, the highly acclaimed chef, won his first Michelin star at the prodigious age of 27 and is now one of the UK's best-known chefs. 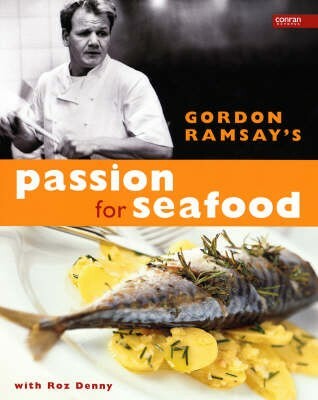 In this book, Gordon turns his attention to the food that excites him most: fish and shellfish The book is aimed at home chefs, especially those who are not used to cooking seafood at home. It begins with a section on choosing the freshest specimens, then goes on to give a guide to filleting, skinning, trimming, preparing, marinading, flavouring and freezing all kinds of fish and shellfish. There are 100 exciting recipes from the simple Salmon Fishcakes and Fish Pie to the more adventurous such as Crab Ravioli with Lemongrass Vinegrette, this book is a must for fish lovers everywhere.